This textbook augments the first edition through the inclusion of a set of reseach and review papers selected by the authors to supplement the contents of each chapter by providing a discussion of research issues and detailed investigation of individual cases. One or two papers supplement each chapter. A short introduction to each set makes clear the nature of their contribution and how they relate to each chapter's contents. 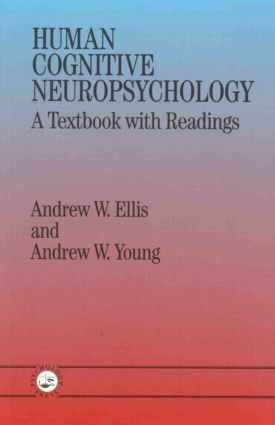 Some of the papers are short reviews of theoretical contributions; others are case studies in the tradition of cognitive neuropsychology. At least three of the main trends discernible in cognitive neuropsychology in the 1990s are represented in the chosen papers. The first is the use of connectionist models to simulate patterns of impairment in brain-injured patients. The second is the growing convergence between cognitive neuropsychology and neuroscience: cognitive neuropsychologists are becoming increasingly interested in the brain processes that underlie the preserved and damaged psychological processes they study. The third trend is the involvement of cognitive neuropsychologists in work on therapy and rehabilitation.